about 2' now just over a year old now. HE'S GORGEOUS, what a great guy Berry Miller is. i bought my male woma from him a couple years back. 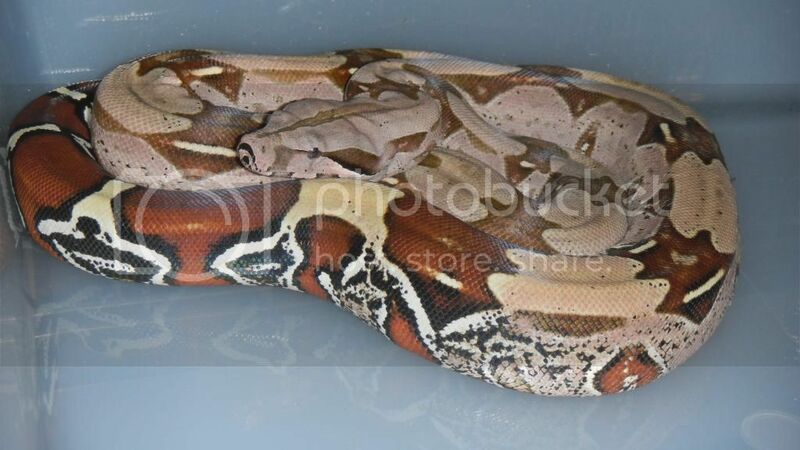 in my opinion he offers for sale some of the best looking snakes around. He's awesome! How's Sabina doing? I wouldn't mind seeing how big she is now. I miss her so! She's doing really well! Well this last shed didn't go so well. She even soaked for about a week and a half. There must have been some old skin left on her, when she shed it left some raw spots on her, but she's healing pretty fast. She took her first rabbit 3 weeks or so ago! just over a pound. Snatched it right up. Are you going to be at the Dixie show the 20th? If so let me know and I'll bring her down since it's getting nicer out. Still a sweethart she is, unless food is around!